CNNMoney wants to know: Are you watching the World Cup at work? All of these audience figures are incomplete, though, because Nielsen does not measure any out-of-home viewing at bars, restaurants or other locations where people have congregated to watch World Cup matches, or any viewing on phones or computers. ESPN said the live stream of the match via its WatchESPN app added another 490,000 viewers to the total audience. All of these figures are averages for the duration of the 95-minute match. Unsurprisingly, total viewership was lower in the beginning and higher toward the end. ESPN said its viewership peaked between 7:30 and 8 p.m., in the final minutes of the match, when about 23 million viewers tuned in to its main channel. ESPN said in a statement that USA-Portugal ranked as "the most-viewed soccer match in the United States ever, across all networks," eclipsing the "previous high of 17,975,000 viewers for the 1999 Women's World Cup final (USA vs. China) on ABC." So far, ESPN's ratings are up about 30% compared to the last World Cup in 2010. Univision's ratings are up nearly 50%. 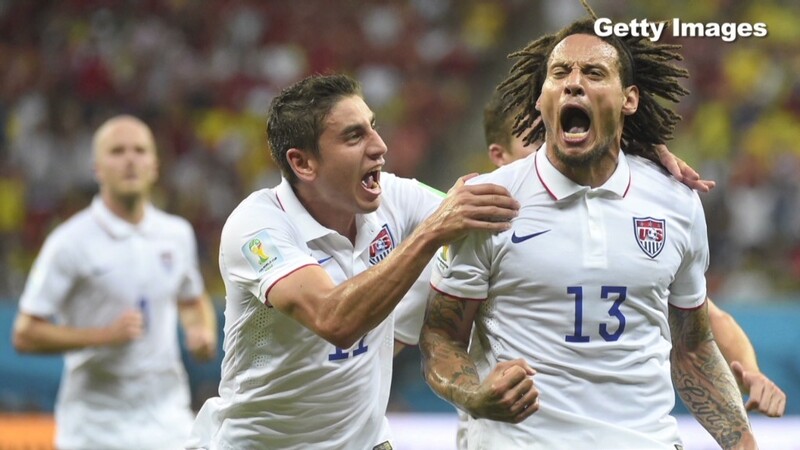 "The whole world's watching right now," former U.S. Men's World Cup player Cobi Jones said Monday on CNN. In the U.S., "you're seeing younger generations really following the sport," and that's translating to higher ratings, he said. The next USA match will be played against Germany at noon ET on Thursday.